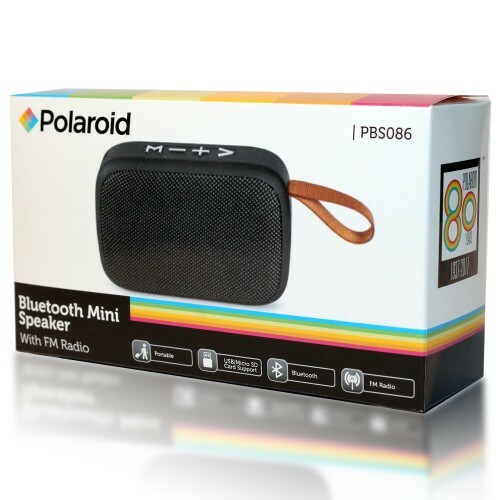 The Polaroid Mini Bluetooth Speaker allows you to take your music on the move wherever you go due to its elegant compact size. Despite its pocket size, it offers crystal clear quality sound due to using the latest Bluetooth technology and high spec IC chipset. The speaker also features a built-in FM radio, USB input and a micro SD card slot.